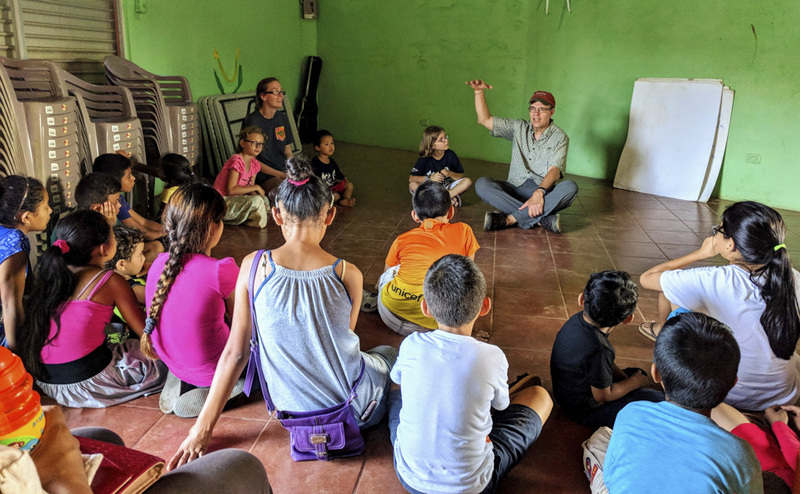 For the last 15 days my wife, Vanessa, and I have experienced a glimpse of a Christian missionary’s life while visiting my daughter, Jessica Wilde, and family in Coopevega, Costa Rica. We remember the caring touch of Doña Elsa, the smile of Jamilet and her son Yeudin, the tears of Doña Margarita, and the helping hand of Ericka. We were touched by the unresolved medical needs of Alba and the daily plight of the refugee to live a life filled with hope and dignity. But most of all we were touched by the Wildes and the other two FMC missionary families: families that have decided to leave a “comfortable” life in the States to live in solidarity with the poor. As we sit in relative darkness, with the rotary fan pushing the damp air across the room in an attempt to provide a bit of comfort both from the heat and the mosquitoes, the word that echoes in our hearts is solidarity. We have never quite understood the Church’s social teaching on solidarity, but watching these three families live in solidarity with the poor, we now are beginning to understand the beauty of this teaching. Solidarity is a teaching that started with our Lord leaving heaven behind to be born in a stable. It is a beautiful mystery that our Lord so sought solidarity with man that He left his heavenly realm to be a man. This time in Costa Rica and these three families have helped us begin to understand this beautiful mystery of God’s love for us, a love so great that He lived and continues to live in solidarity with man.